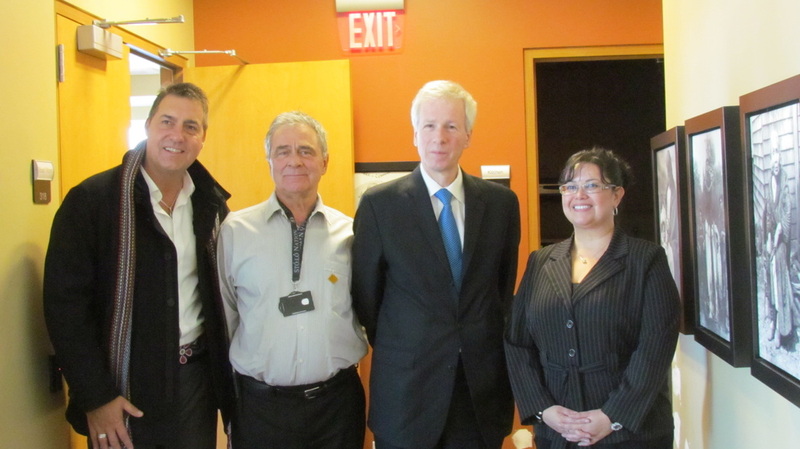 Honourable Stéphane Dion met with SCF Board Members, Vice Chair – Samantha Kaji, SCF Board Member – Louis De Jaeger, SCF Staff, Mike Watson and Rocio Zielinski, together with Staff within the Stó:lō Resource Centre on Friday, February 28th. It was a very exciting event! From left to right: Louie De Jaeger (SCF Board Member), Mike Watson (SCF Staff) Honourable Stéphane Dion, and Rocio Zielinski, SCF staff. 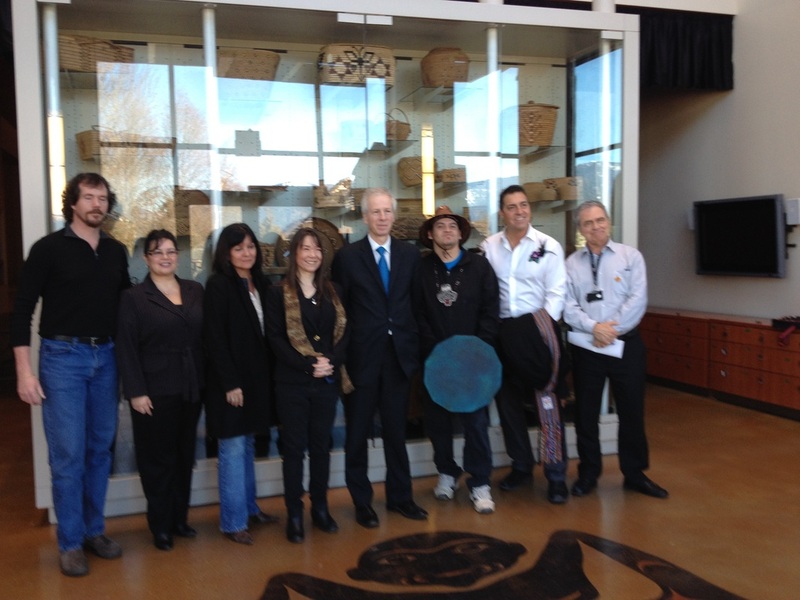 From left to right: Dave Schaepe, Rocio Zielinski, Anna Celeste, Samantha Kaji, Honourable Stéphane Dion, Richard Seward, Louie De Jaeger, and Mike Watson.